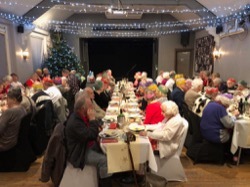 Senior citizens from St Margarets and the wider Richmond borough celebrated Christmas early, thanks to an annual Christmas dinner even provided by the St Margarets Fair organising committee, held at the Turks Head Pub on Wednesday, 5 December. Here is a list of church services for Christmas Eve and Christmas for some local churches in the St Margarets area. Residents are being reminded that their collection times will be subject to change over the Christmas and New Year holiday period. 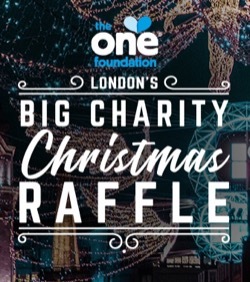 One of the UK’s leading clean water charities, The One Foundation, have today launched a new charity fundraising initiative for Christmas - London’s Big Charity Christmas Raffle - which will run until 4pm on Christmas Eve. 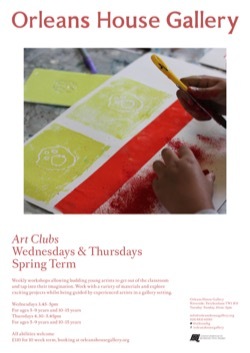 Exciting weekly workshops offer budding young artists the opportunity to get out of the classroom and explore a broad range of artistic media with our experienced gallery artists. Exciting projects are delivered in group sizes of no more than sixteen in specially equipped workshop spaces allowing participants to try messy and adventurous media! 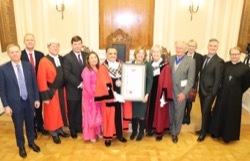 One of the country’s leading employment charities for wounded, injured and sick veterans has been awarded the borough’s highest honour in recognition of its work. As part of the borough’s commemoration activities to mark the end of 100 years since World War 1, councillors presented representatives from The Poppy Factory with the honour at a special Council meeting last night. 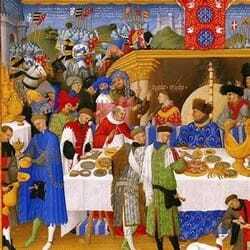 Just before we settle into three weeks of non-stop ‘knees-up‘and conspicuous consumption let us consider, if only in the name of balance, some of the less cheery fire-side folklore lurking in the darker corners of Christmas Eve. 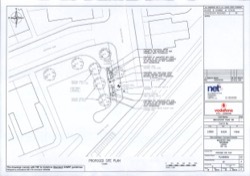 To make recycling across Richmond upon Thames even easier, recycling points for unwanted electric and electronic items are being made available at most libraries across the borough. It may be the season of goodwill but fraudsters are working overtime at Christmas, says Richmond Council. To help residents spot the scams and not fall prey to the criminals, Richmond Council have come up with a “12 scams of Christmas”.